LIPOGAINE, trusted by people around the world for its incomparable effectiveness, is a leader in providing the best solutions for both men and women to fight against hair loss. Lipogaine is dedicated to providing high quality and affordable products that truly work. Countless hair loss treatment products promise miracle result but fail flat out and serve to create cynicism and further stress for patients. We never forget that behind each sale is a real person who has placed their trust in us, someone frustrated by hair loss and suffering from a blow to their confidence or self-esteem. We honor this trust by respecting our customers' concerns, helping them feel better about themselves and offering the best solution and customer support. A professionally formulated 3 in 1 topical solution for men. 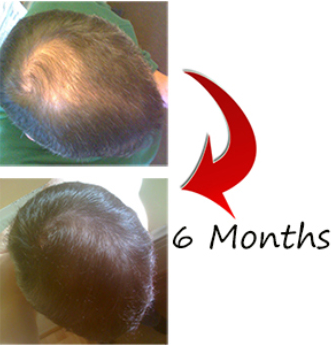 The best option for those who not only want to stop further hair loss but also want to recover as much as what was lost. Works as efficiently as our best selling Lipogaine for Men (Red Package). Perfectly crafted to make it more suitable for those who have sensitive scalp. Our classic hair loss prevention shampoo for both men and women, most suitable for those with mild hair loss and whose main goal is stop further hair loss. A unique 3 in 1, easy to use topical solution for women who want to stop further hair loss and recover maximally what was lost. Works the same as our classic Lipogaine for women. Carefully engineered to make it most suitable for those who have sensitive scalp. Better Than Others: I have great results with Lipogaine for Men, especially in the frontal area. I have used Rogaine Foam, but did not see the same amount of regrowth in the frontal area where I had receding. It takes time so you need to be patient, but it definitely works. Hair Regrowth Product Does Work: It does grow hair even in the front. No product I have used in the past has ever done this. Big 3 shampoo is good and Lipogaine is so easy to apply. Will continue to use this product. I am in my 50's and have been using this product for over two years. Dries Fast and Easy To Use: I had to discontinue the Kirkland's 5% Minoxidil and the 5% Target Minoxidil due to a severe rash caused by Propylene Glycol. Based on the list of ingredients and Lipogaine review, I thought I would give Lipogaine for Men For Sensitive Scalp a chance, and I'm glad I did! I am seeing a lot of regrowth. Additionally, my scalp is back to normal, no itching, redness and thick flakes. Highly recommended! Hope this product is never discontinued!. Excellent Customer Service: I have been ordering Lipogaine hair loss products for more than 2 years. The products are always delivered very quickly. I live in Australia, it typical takes about one week to deliver. One time I lost my package, they immediately reshipped my order without for free.. If you are experiencing hair loss, thinning or receding, it is nothing to be self-conscious of as it happens to many people. The first step to remaining confident during this time in your life is to remember that you do not need to cure your hair loss in order to feel good about your appearance. The most widely accepted explanation for male pattern hair loss is the DHT theory. DHT stands for dihydrotestosterone, a byproduct of testosterone created by the enzyme 5-Reductase. High levels of DHT can have negative effects on hair health. Essentially, DHT will attach itself to the hair follicle depriving it of nutrition and causing atrophy (shrinking). Eventually the follicle will fall out.